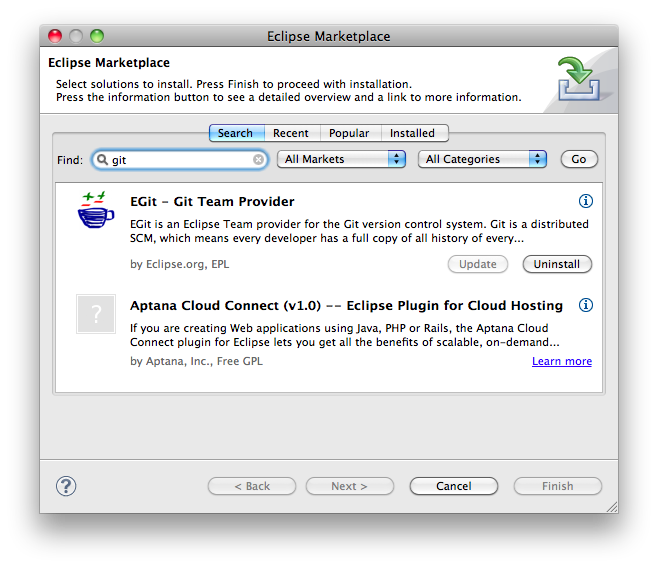 I’m a fan of the Eclipse Marketplace. 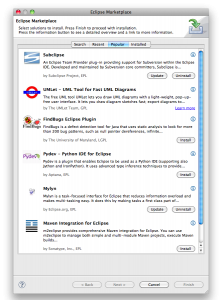 If you’re an Eclipse.org project, I highly recommend listing a release of your project if you want to make it easier for users to find your work. I’m a lazy user so anything that can be done to not have to enter a URL is a plus in my humble opinion. So what’s missing? 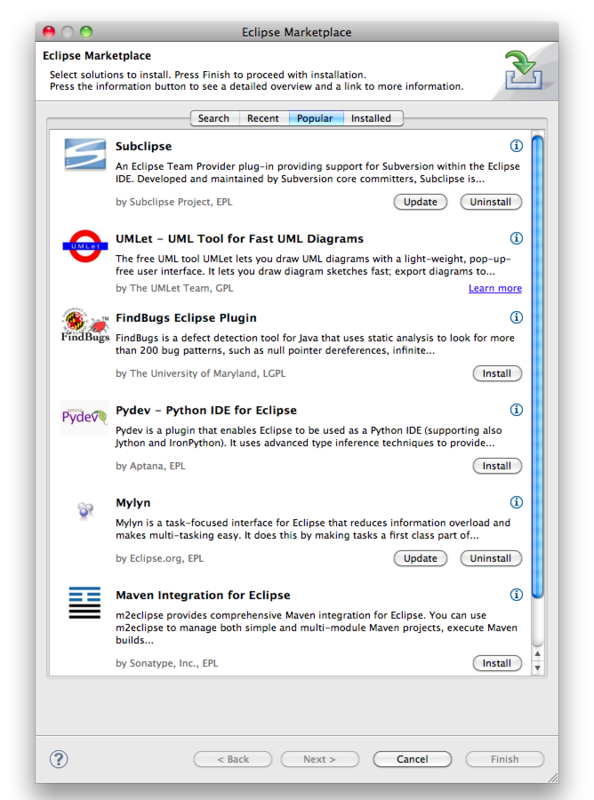 Well, I would like to see the marketplace work with other Eclipse plug-in distributors out there. I know that the marketplace supports pluggable marketplace providers as the folks at EclipseSource are taking advantage of this functionality via the Yoxos Market. However, I’m more looking at the folks within the IBM Lotus community who are doing cool things by having plug-ins for Symphony available via the web. I think both communities would benefit by having more cross-pollination with the plug-ins that would work in both environments. On top of that, I would like to see “appstore” like functionality at the marketplace in the future so people could offer their wares for sale if they wanted to. I know this isn’t easy due to the complications of selling goods in various countries and the tax laws that accompany that but we could start with a few pilot countries. 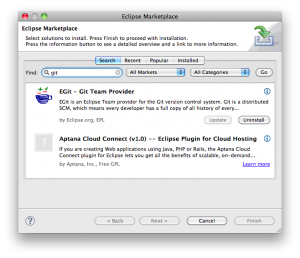 In the end, I think the marketplace makes it a lot easier to find Eclipse-related stuff and opens a lot of possibilities to make Eclipse more consumable for folks.